How To Fix The Issues With Your Computer? Computer Repair of Temecula cares about people’s knowledge regarding computers and laptops. Therefore, we provide a complete guide that tackles the problem that might occur with your device. Within this article, Computer Repair of Temecula exposes MacBook Repair in Temecula. By the time you have finished reading the article, we expect you to have a comprehensive idea of what types of issue impede your computer’s performance. At the very bottom you might find our contact info to reach us in case of any question. When you’re having problems with your MacBook Pro, your whole world can be turned upside down. Many students and professionals depend on the smooth operation of these devices. When they don’t perform or worse yet, won’t turn on, some will face missed deadlines for school related assignments or will not be able to access data that is needed in their jobs. In some instances, you can troubleshoot to try to find and fix the problem on your own. This guide is intended to help diagnose and repair the most common problems. When repair is beyond your level of ability, it’s important to know when it’s time to call on a professional for help. What To Do If Your Mac Pro Won’t Turn On? There could be a few different reasons for this so we’ll start with the simplest and move forward. Sometimes the problems are really simple and easy to fix. It’s always best to keep your head and not panic. We’ll run through the list of possible issues and the best solutions for DIY Mac Pro fixes. The first and most obvious issue could be that the battery is dead or the unit is not connected properly to the power source. Check all of the connections and make sure that the power cord is plugged into a working outlet. Inspect the cord to make sure that it has not been damaged and that the plug that connects to the computer is working. Sometimes replacing the cord is necessary and will solve the problem. If there is damage to the internal parts that accept the charger into the device, you may need to solder the piece back into place or consult with a repair technician. If you were having performance issues with your MacPro prior to the problem that you’re now facing there could be a number of reasons why it won’t turn on. There could be a problem with the display, the hard drive or the motherboard. If your machine makes a sound such as a startup beep, if you can hear the fan running or the drives working and if indicator lights turn it is getting power. If there is sound but no video then there may be an issue with the display. If there is an issue with the display, you may need to update the display drivers on your Mac Pro or replace the screen. If the display is not the problem, there are more avenues to pursue. Recent installations of new drives or memory can result in performance issues. If the new addition is not compatible, the computer may not turn on at all. A reinstallation of the original memory may help to diagnose the issue. If the Mac Pro turns on, you’ve found the problem. The same is recommended for any new drive that has been installed. If the problem is not solved by taking this step, you may need to seek professional assistance to determine the actual cause of the problem and the recommended course of action for repair. WiFi connections that come and go can be frustrating. Sometimes it’s like a game of now you have it and now you don’t. Most of us can appreciate a stable connection that is dependable and reliable. If you’re experiencing WiFi issues with your Mac Pro, the first thing that you should do is to try moving the device do different parts of the building. If you can connect in one area and not in another, there is some type of issue with the WiFi signal strength. The best solution is to turn off the WiFi for a total of 10 seconds before turning it back on. This option is a commonly used fix for WiFi connections that need to be reset. The router should also be unplugged for a total of 60 seconds and then plugged in again to the power source.. If the reset fix doesn’t do the trick, try connecting to a different WiFi network. You may need to use a higher connection rate, for example, move fromma 2.4 GHz connection to a 5 GHz. This is helpful in solving signal range issues. This is done by clicking on the WiFi icon and choosing the Advanced option under Network Preferences. Simply click on the 5G network option and drag it to the first slot on the list. If this is the first time that you’ve used this network, you will need to perform a quick setup. Click on the Plus icon that allows the device to show networks. You’ll need to click on the name of the network and enter your password in. If this doesn’t work it may be time for an upgrade. The OS X Yosemite version has been known to have glitches for Mac users. OS X El Capitan has fewer associated issues and this may solve the problem for you. The upgrade is free so it won’t cost you anything. After you’ve made the change to OS X El Capitan and your device has been updated if you’re still not getting the connection that you need it is possible that the update was not good and your Ethernet port has been damaged. There is a solution. First, inspect the version number and if it is 3.28.1, you’ll need to take a few steps to remedy the problem. Begin by pushing the option key and go to the system information which is located on the Apple menu. Open the section labeled software and choose the Installations tab. You will need to go through the list until you find “Incompatible Kernal Extension Configuration Data.” You need to have version 3.28.2 in order to connect to the WiFi. Open the terminal application and type in kernel extension: sudo software update–background. Exit the terminal and do a restart on your Mac Pro. If this doesn’t solve the problem you may need to consult with an Apple Mac technician for further assistance. What To Do When Your MacBook Pro Freezes? First of all, MacBook Pros have a tendency to freeze when they have been in use for extended periods or when an app you are using stops responding. The best solution is to shut the mac down properly. In most instances you won’t be able to but it’s always the first thing that you should attempt. If this doesn’t work, use the Force Quit option to get out of the app. Clicking on the icon in the dock, holding option and clicking should bring up the force quit. If it doesn’t, use the command plus option plus escape holding each button down simultaneously. If the is ineffective, hold the power button down and do a restart. This happens to most users on occasion. Remember that it can take several minutes for a Mac Pro to completely shut down and turn off so make sure that you’ve given it plenty of time. If after five minutes it is still on, you may need to save any work that you’ve done and hold the power button down until the device powers off. Too many abrupt shutdowns can cause issue with the configuration of your files and may result in the need for more frequent fragmentation of the hard drive. It’s a good idea to check the status of your disk and perform this operation when it is recommended by the system. This message upon startup gives you the warning that your hard drive is nearly full. There are a few things that you can do to make more room. The first solution is to purchase a larger hard drive. You can also opt for an external hard drive that is detachable. If neither of these solutions are options for you, the last resort is to delete all unnecessary files from the hard drive. You can access Disk Inventory X to find out which files are the largest and choose from those that you no longer need to keep in storage. These are some of the simpler solutions for common issues that happen with the MacBook Pro. In many cases, you can easily diagnose and fix the problems that arise, but when you’ve tried all of the recommended solutions and still cannot get your device to work properly, you can take one final step for home remedies for MacBook Pro. Consult with the Apple Mac website to troubleshoot. There may be vital updates that need to be installed on your device in order for it to function properly. You may need to use a second device to download the files. The next step is to upload them to your Mac Pro and see if this is the answer to the problem. If you still cannot achieve resolution it is most likely time to contact a Mac Pro technician. Final Thoughts On Do It Yourself MacBook Pro Repair? Most of us are familiar with the frustrations of failed attempts at restoring an electronic device. The truth is that sometimes the fixes are simple, but there are occasions when the issue is far beyond our ability to fix. It is possible to spend hours and even days attempting to diagnose and fix the problems with a device that won’t perform to its capacity. You can spend way too much time believing that you are close to solving a performance issue only to realize later that you were on the wrong track. This is when the best solution is to stop wasting precious time and locate a source of help. 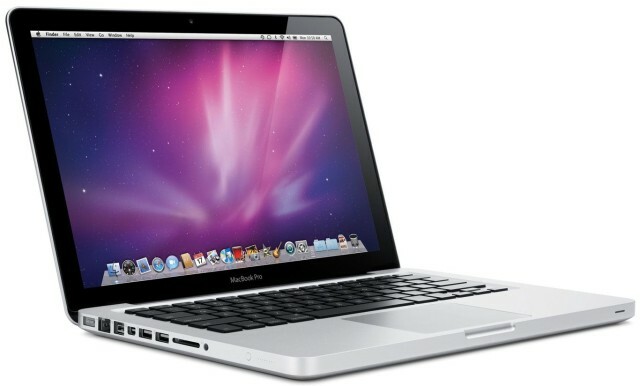 When you need MacBook Pro repair in Temecula our company is ready and available to help. We take pride in providing the highest quality service to all customers in the Temecula and Murrieta areas. Why are we so special? We’ve been in business since 1998 and have worked hard to earn our solid reputation for delivering fast and reliable service. We’ll come to where you’re at for added convenience. We specialize in a wide range of Mac repair services. Whatever the problem is, we have the knowledge and expertise to quickly diagnose the issues and complete the necessary repairs. There is no job too big or too small for our team of qualified technicians. Whether you’re having issues with your PC, MacBook, workstations, servers or you’re having performance issues, we’re standing by to offer our assistance. In addition to these services we also excel in computer setup, transfer repair, digital surveillance services, ip camera set up, wireless networks, broadband or cable installation and more. If you’re in need of a service and you don’t see it listed here, please ask us and we’ll be happy to tell you how we can help. Another reason to choose Computer Repair of Temecula is because we are a full service provider. We are proud to offer our assistance to residential and commercial customers. If your business is in need of installations, upgrades, repairs or if you would like to discuss plans for upgrading your current computer or surveillance systems, we can certainly help. We maintain reasonable and competitive rates for our services. If you’re interested in getting a free quote, we’re happy to discuss your unique situation and provide you with the information that you need. Whether you prefer to set up a service call or bring your device into our shop, we welcome your business. If you have any questions, our friendly staff are here to discuss your concerns and give you the answers that you need. We’re here to serve all of your computer repair and installation needs. Find out more about the services that we have to offer by visiting our website located at https://computerrepairoftemecula.com/. For Macbook Pro repair in Temecula, let us help.